Perfect gifts for the fitness freak, gym junkie and aesthetically-inclined! The ‘season of giving’ is approaching at breakneck speed, which means dodgy Secret Santa gifts from clueless co-workers and yet another pair of novelty boxershorts from Aunt Mable – bless her. Minimise the risk of lame gifts this Christmas and put these health and fitness goodies on your wishlist. It’s all about fitness trackers right now, and Jawbone’s new UP3 is undoubtedly one of the best. Sleek, feature-packed, water-resistant and wearable with a full week of battery life in one charge. UP3 boasts a tri-axis accelerometer, bioimpedance sensors, and skin and ambient temperature sensors. In layman’s terms: impressive state-of-the-art sensors that give you the full picture of your health. Jawbone’s new software has been ramped up to automatically recognise and log your workouts. You’ll also gain an in-depth understanding of your stress and sleep with Advanced Sleep mode. Available in the US this year, it might be worth putting in your order and taking an IOU until the 2015 Australian release. 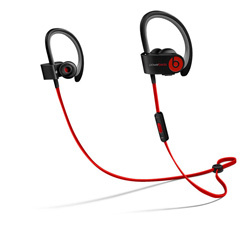 Inspired by LeBron James, these babies are lightweight and deliver the power of dual-driver acoustics to propel you through your workout. Sweat-resistant and wireless with 6 hours of playtime in one charge, Powerbeats2 give you the freedom to take your workout anywhere. 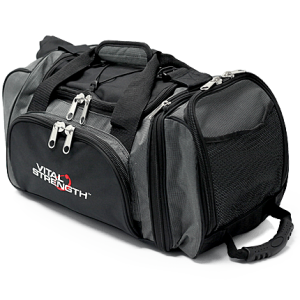 Complete your fitness look and head to the gym in style with a Vitalstrength gym bag. Large enough to stash all your essential gym gear, complete with resizable drink holder and ventilated shoe compartment, so you’re always ready for that next workout. Forget relying on your own karaoke skills, your post-workout shower just stepped up a gear. 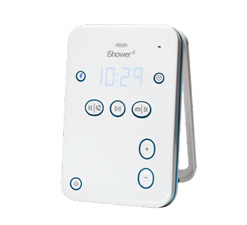 Listen to music and take calls while you wash away the sweat and soak your muscles. Featuring a water-resistant speaker and 200-foot Bluetooth range, your phone doesn’t have to come anywhere near the bathroom. Connects to up to 5 smart devices so you can share the fun. Rocky Balboa had it going on. In fact the greatest names in boxing have always spent time skipping rope. 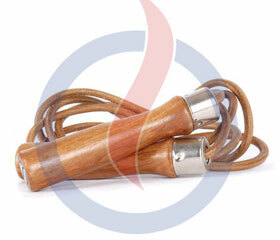 It’s the ultimate in high-intensity cardio, torches calories and can be taken anywhere. Save the plastic skipping ropes for the schoolgirls and get yourself a leather skipping rope for some true Sly Stallone cred in the gym. The perfect gift to build strong lean muscle faster, for a body that deserves attention at the beach this summer. 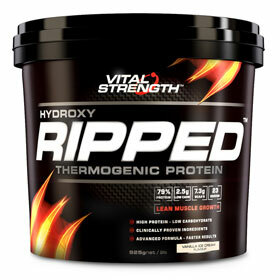 Hydroxy Ripped features a scientifically advanced thermogenic formula packed with highly purified, fast release whey protein isolates, thermogenic fat burners and clinincalyl proven ingredients designed to smash fat, accelerate calorie burning and define your six pack abs. Leave some out for Santa, too! 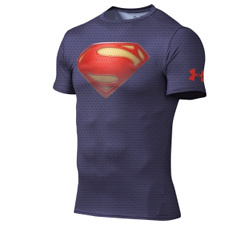 Unleash your inner super hero with this range of compression shirts from Under Armour. Ultra-tight to reduce muscle vibration and aid recovery, and with a smooth HeatGear Sonic fabric, this range is the ultimate in super-powered performance apparel. Features four-way stretch fabric for greater mobility and Under Armour’s moisture transport system to keep you cool dry and light. Available in Superman, Batman, Spiderman, Ironman and more. Who are you when you step into the gym? 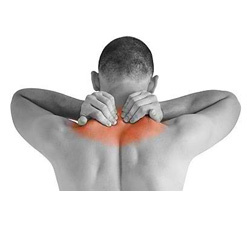 Remedial massage is what your muscles have been craving after a hard year slogging it out in the gym. None of that soft and gentle stuff, this is a massage that gets deep into those tight muscles. Perfect for niggling injuries, relieving neck and back pain and treating a multitude of conditions, this may be the best thing you ever do. Search for a professional massage therapist in your area – many offer gift vouchers that make for the perfect present. The perfect shirt to wear during a long Christmas lunch. It’s all about dem gainz! 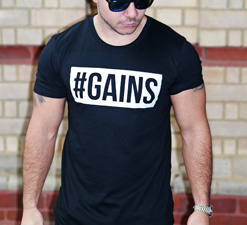 Crafted from the finest extra-soft treated combed cotton, this premium fitness t-shirt serves up an aesthetically pleasing muscle hugging fit, subtly widening your shoulders while drawing in your waist. Get it on! Your home gym must-have. 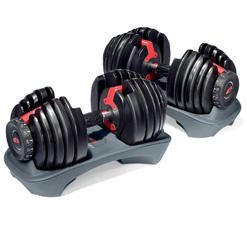 Replace up to 30 dumbbells with just one set of these space-efficient, adjustable babies. With a turn of a dial you can automatically change the resistance from 2.27kg all the way up to 23.8kg for real results without compromising on space. So much more room for activities! Don’t let your gains go undocumented. 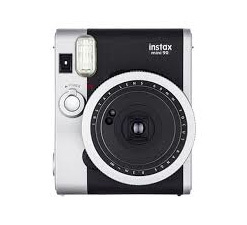 Take gym selfies to a whole new level with the Instax Mini 90 – the quirky, modern take on the old-school Polaroid. Equipped with new functions and features like macro mode (note: nothing to do with P/F/C) and high performance flash, you can produce instant credit card sized prints. Get ready to flex! Not just for yogis and pilates aficionados, a good foam roller is a godsend for sore muscles, whether you’re a bodybuilder, strength athlete or weekend warrior. Show your muscles some TLC with this essential (and cheap!) fitness tool. 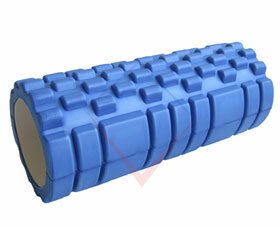 Perfect for massaging those tight muscles and preventing overuse injuries so you can keep working out all year long. Learn to make jawdropping skillful kicks with step by step guidance. 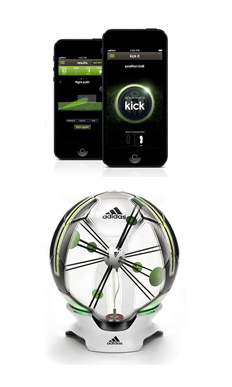 The Adidas miCoach SMART BALL football helps to improve your kicking technique by providing almost instant feedback on the power, trajectory, spin and strike accuracy of your kick. Featuring in-built sensors, the SMART BALL also connects wirelessly via Bluetooth to your iPhone, telling you everything you need to know to improve your form, while maintaining the weight and feel of a regulation size 5 football.